Smart gun sales: New Jersey law shoots down Armatix iP1. 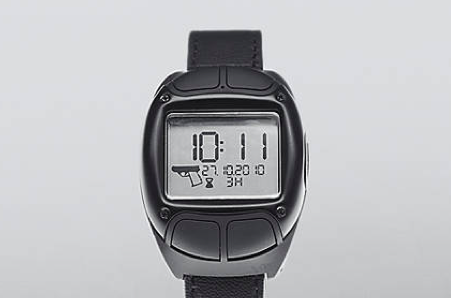 The watch that accompanies the iP1. An entire state banning the sale of guns that don’t have “smart” technology would presumably be a big blow to what gun enthusiasts see as their Constitutional right to fire whatever kind of gun they want to fire in whatever fashion they see fit. The Maryland store that said it would offer the iP1 just changed its mind last night; the Oak Tree Gun Club in California actively promoted sales of the iP1 in February but stopped soon after receiving press attention. And there’s apparently been no movement in New Jersey toward enacting the provisions of the 2002 law even though the conditions it describes seem to have been fulfilled by the iP1’s brief availability in California.